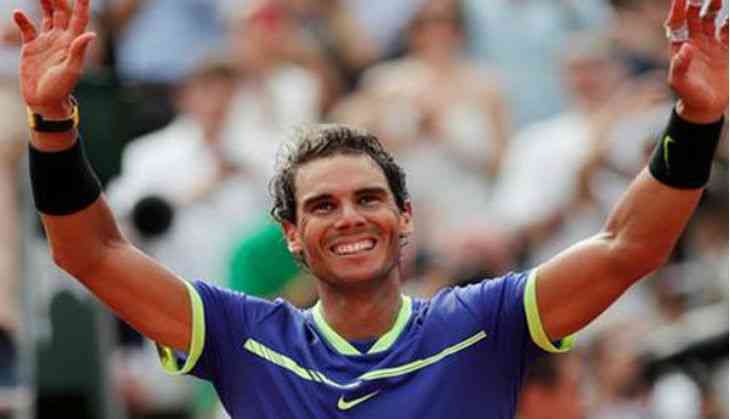 Rafael Nadal on 11 June came out with a stunning display against Stan Wawrinka and defeated the Swiss in straight sets to win the Men's Singles title for a magical 10th time, achieving 'La Decima' and reaffirming his status as the greatest clay-courter of all time. The World No. 4 claimed an incredible 10th French Open title with a 6-2, 6-3, 6-1 victory over Wawrinka in a match that lasted for two hours. The Spaniard dominated the summit clash completely and didn't allow the third seeded player to stage a comeback into the match. He did not drop a set in his seven victories in Paris in 2017. Nadal scored 27 winners as compared to Wawrinka's 19. With the win, Nadal extended his head-to-head lead over Wawrinka to a stellar 16-3, and improves to a perfect 10-0 in French finals. This was the 15th grand slam win for the Spaniard, who is referred as 'Master of Clay'. A 10th singles title at the clay-court Grand Slam represents a professional era record - no player has won more singles titles at the same major event as the 31-year-old. Martina Navratilova, previously tied with Nadal, owns nine singles titles at Wimbledon, while Margaret Court holds 11 singles titles at the Australian Open - a feat spanning both the amateur and open eras.